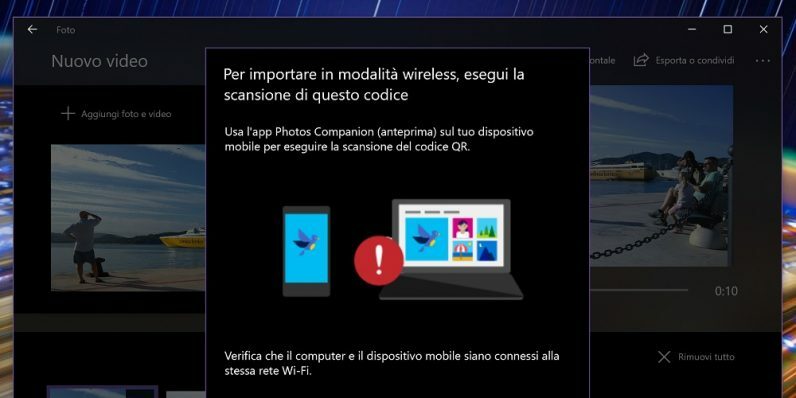 Microsoft is building an app for Android and iOS to send photos and videos from your phone to your Windows 10 PC, reports Italian blog Aggiornamenti Lumia. It’ll serve as a companion to the Photos app on Windows 10, and will let you quickly beam your content to your desktop when your devices are on the same Wi-Fi network. That’s similar to the functionality offered by OneDrive, but this new functionality negates the need to sign up for Microsoft’s cloud storage service. That’s good news for folks who want to view and edit their pictures on their PCs; this should also help empty out your phone’s storage, so you have more room for apps and games. In addition, Photos is getting a bunch more upgrades in Windows 10, including special effects, stickers, themes and music that you can pay to use with your photos and video. The new features are slated to arrive in an update to folks on the Windows Insider program in the next few months. For those who can’t wait, Google Photos offers a similar option: once you’ve got the app set up on your iOS or Android device, it’ll automatically back up pictures to your account, and you can then view, download and share them from your desktop by visiting photos.google.com with your account. It’s worth noting that Google compresses your pictures and reduces their quality if you’re on the free plan, but you can opt to save the original resolution images in Google’s cloud if you care to pony up a subscription fee.